Waking up with one or both nostrils closed up from congestion is enough to put a damper on the best of days. Finding relief for nasal congestion is something of an obsession once the condition gets its grip on you. Though it isn’t going to go away rapidly, you can kiss it goodbye much sooner by making use of one or more of our 15 home remedies for a congested nose. Though a congested nose is rarely a serious health issue, it can be an indicator of something worse if it persists. Do not look to these remedies as all-inclusive cures and consult a healthcare professional if this becomes a lingering or chronic condition. Those who have ever suffered from nasal congestion are probably well acquainted with eucalyptus oil. The anti-inflammatory and decongestant properties found in eucalyptus are well known when it comes to treating upper respiratory conditions. It can also work as a post nasal drip cough suppressant as well. Eucalyptus oil can be used in steam treatments as well as in a humidifier, which are remedies we will discuss later. 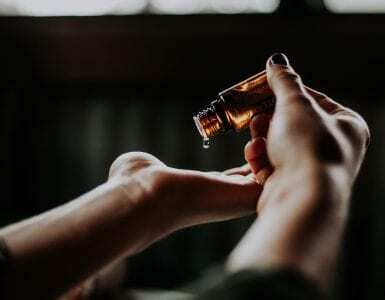 Throughout the day, you can place a couple of drops of eucalyptus oil in one palm, rub your hands together and then breath in the vapors by cupping your hands over your mouth and nose. Placing a few drops on a kerchief to breathe throughout the day or placing a few drops on the hem of your pillowcase at night is also helpful while you sleep. Ginger is a potent way of penetrating through blocked nasal passages. 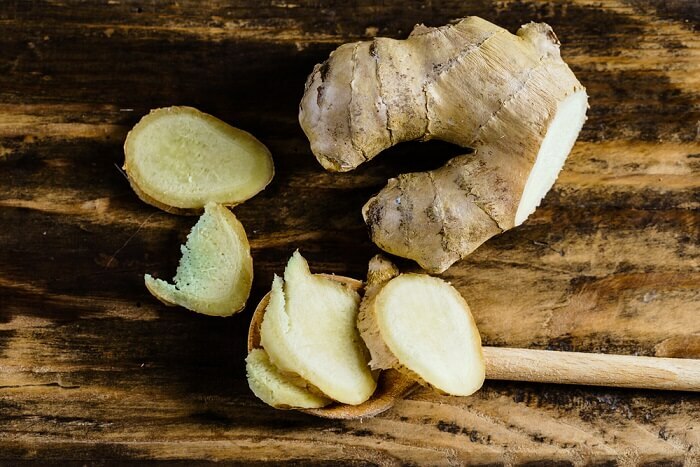 Not only does ginger contain anti-inflammatory properties to help reduce nasal swelling, but it also contains antimicrobial properties for attacking whatever pathogen is causing the problem. Make ginger tea and drink 2 to 3 cups daily to help bring relief. In addition, you can peel and slice fresh ginger root and chew on the slices as needed throughout the day. Ginger lozenges are also available in many health food stores. Spicy tomato tea is also among the most effective home remedies for congested nose. The various spices included in this tea all help to penetrate through the congestion by getting rid of mucus buildup as well as nasal tissue inflammation, not to mention that they all give your immunity a boost as well. Peel and chop 2 garlic cloves and add them to one cup of tomato juice. Add in 2 to 3 tsp of freshly extracted lemon juice, ¼ tsp of cayenne pepper and a pinch of sea salt. Allow the mixture to boil and then reduce heat to a simmer for 5 minutes. Sip on this hot tea 2 to 3 times daily for a couple of days. A great antioxidant herb, which can bring relief to your congested nose is turmeric. 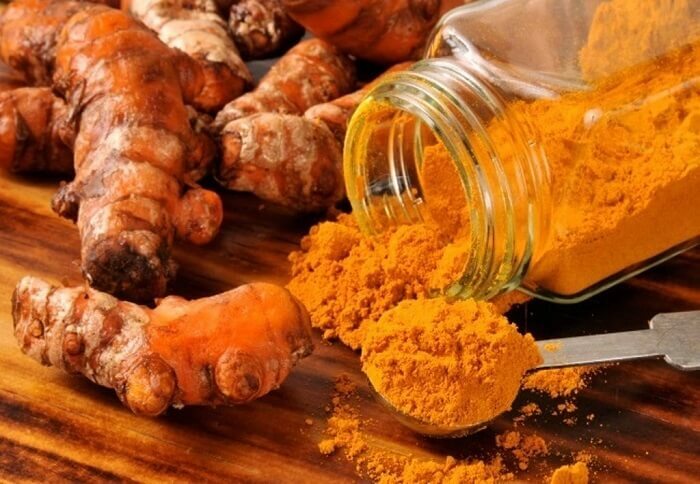 Not only is turmeric a powerful antioxidant, but the most active compound found in turmeric, curcumin, is a potent anti-inflammatory and antibacterial agent as well. Warm an 8 to 10 oz. glass of milk. Add 1 tsp of powdered turmeric and a pinch of black pepper to the milk. Drink this milk stirring continuously as the turmeric will not dissolve in the milk. Drink this 3 times daily. DO NOT skip the black pepper, because it will help your body absorb the turmeric better. A very traditional remedy for helping to clear nasal congestion comes from vapor rubs. The components, camphor, eucalyptus, and menthol, typically blended in vapor rub all have decongestant and anti-inflammatory properties to help reduce tissue swelling and eliminate the buildup of nasal mucus. Make use of commercial vapor rub or make your own vapor rub at home. You can add this to a steam treatment or humidifier as well. You can also massage vapor rubs into your throat, chest and upper back or even on your lips to help relieve congestion while you sleep, but do not put it in your nostrils. 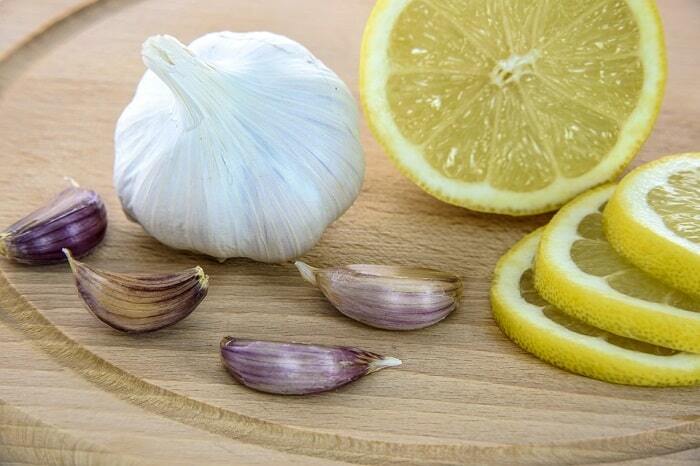 Garlic is a potent herb among the most effective home remedies for a congested nose. Garlic contains anti-inflammatory properties to help reduce swelling in nasal tissues. It cuts through mucus and also has both immune boosting capabilities as well as being an effective antimicrobial agent as well. Peel and chop 2 to 3 cloves of garlic and put them in 1 ½ cups of boiling water. Reduce heat and simmer for 5 to 7 minutes. Add a little honey and lemon juice and sip this tea. Drink this 3 to 4 times a day. You can also peel several garlic cloves and keep them with you to chew on throughout the day, if you don’t mind the strong breath odor. Nasal irrigation is another tried and true method for relieving congestion in your nose. Nasal irrigation with a saline solution helps to clear mucus from the sinuses and open up nasal passages. Saline also works to reduce tissue inflammation. Prepare saline by mixing 1 tsp non-iodized salt in 2 cups of warm, distilled water. Fill a Neti pot with the solution and use it to gently pour the mixture into one of your nostrils. Allow the solution to drain out and repeat the process with the other nostril. Repeat this morning and night for a few days. When it comes to home remedies for congested nose cayenne pepper cannot be left off of the list. The capsaicin found in cayenne pepper acts as a natural decongestant, which is why your nose runs and your eyes water when you eat spicy foods. Capsaicin also has anti-inflammatory properties to help shrink swollen tissues. Mix ¼ to ½ tsp of cayenne pepper in 1 Tbsp of raw honey and eat it. You can also add cayenne pepper into the teas and other remedies to give them a boost of decongestant. Another very effective natural decongestant comes in the form of apple cider vinegar. The potassium in apple cider vinegar helps to reduce nasal tissue inflammation and helps inhibit mucus production as well. ACV also provides tons of immunity-boosting nutrients to help your body fight off the cause of the congestion. Mix 2 Tbsp of raw, unfiltered apple cider vinegar and 1 Tbsp of raw honey in a cup of warm water. Repeat this remedy 2 to 3 times daily or as needed. You can also add 1 or 2 tsp of ACV to many of the other remedies on our list to give them a boost. A very popular, tried and true way of getting relief from a congested nose is steam inhalation. Inhaling steam works as a natural expectorant so that it clears out the congestion as well as lubricating the nasal passages to get rid of the mucus buildup. You can place various essential oils or vapor rub in the water to make it more effective. Placing a towel over your head, lean over the pot and breathe in the steam for about 10 minutes. Repeat this remedy 2 to 3 times daily. A humidifier is also among the tried and true home remedies for a congested nose. Dry air tends to be an irritant to your sinuses and can help aggravate your condition. Breathing moist air brings soothing relief to the irritation and helps ease inflammation. Run a humidifier in your room while you are sleeping. Add vapor rub or any of the essential oils to the water to give it a boost of potency. Next to eucalyptus, peppermint is one of the most well-known essential oils for relieving congestion in your nose. 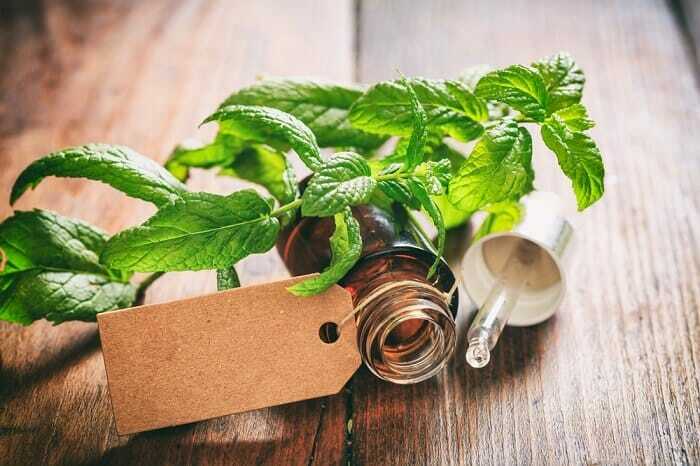 The active compound in peppermint oil, menthol, has been used for more than 2000 years an astringent, antiseptic, antimicrobial and anti-inflammatory remedy for numerous ailments and it is just as potent today for bringing relief to your congestion. That's why it's an excellent choice if you want to know how to unstuff your nose. You can add peppermint essential oil to the steam pot or humidifier to give them a boost. 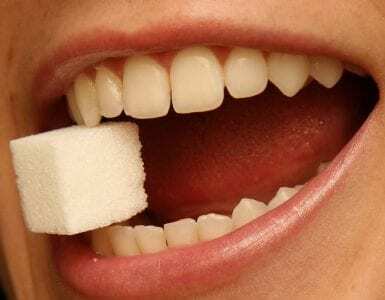 Peppermint is a common ingredient in vapor rub. A drop or two of peppermint can be added to the teas on our list of remedies. You can use inhale peppermint oil by placing a drop or two in the palm of one hand, rubbing your palms together, and then breathing in the essence by cupping your hands over your nose and mouth. Another potent essential oil which cannot be left off of our list of home remedies for a congested nose is oregano oil. 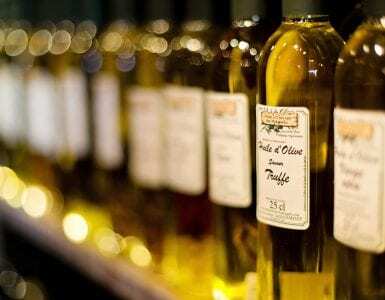 Oregano essential oil was used in Greece for thousands of years as a way of treating an infection. 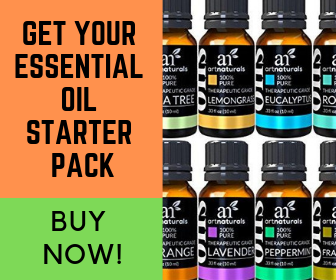 Its compounds thymol and carvacrol have powerful anti-inflammatory, antibacterial and anti-fungal properties to help get rid of the cause of the congestion as well as bring soothing relief to the swelling and congestion. Oregano oil can be used in the very same way as all of the essential oils on our list. In addition, you might consider adding oregano to the foods you are consuming or even making tea from fresh or dried oregano leaves and sipping it throughout the day. A close relative of oregano, thyme is also effective at reducing congestion in the nose. Like its cousin, thyme is a member of the mint family and contains abundant amounts of thymol. Thyme was used by ancient societies for anti-inflammatory, antiseptic, antibacterial and expectorant qualities. Thyme is more than potent enough to bring modern relief to sinus issues. Thyme oil can also be used in the same manner as any of the other essential oils included on our list. Thyme can also be added to other teas or you can make thyme tea and sip it several times throughout the day. 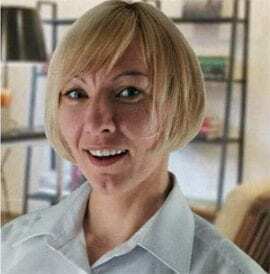 You will probably note that many of the remedies on this list are teas because drinking lots of fluids is one of the best home remedies for a congested nose. Almost all liquids, except those with caffeine, alcohol, sugar or artificial sweeteners can help keep you hydrated. By staying hydrated, you reduce inflammation, reduce mucus production and help to flush out the pathogens causing the problem. Drink lots of freshly extracted juices and teas. Drinks with plenty of electrolytes and no sugar or caffeine are also a great immunity booster. Chicken broth or bone broths can also add an abundance of nutrients to help fight off whatever infection is causing your discomfort. Add hot and sour soup to your list as well, when you are thinking of fluids. 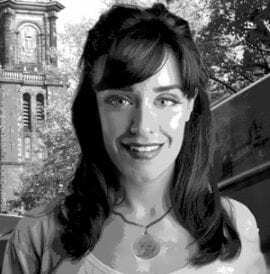 The stuffiness and irritation of a congested nose have the potential of ruining even the best days and dragging you down. 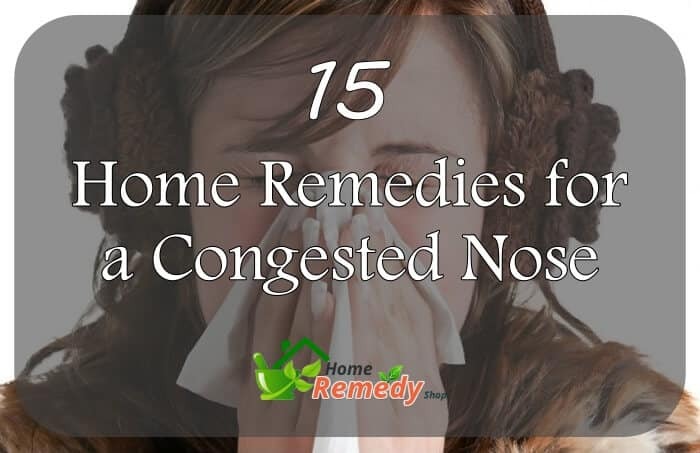 Give yourself a quick boost and get rid of the stuffiness more rapidly by making use of one or more of the 15 home remedies for a congested nose on our list. Don’t forget to add your comments, questions and success stories about some of our remedies in the comments section below.